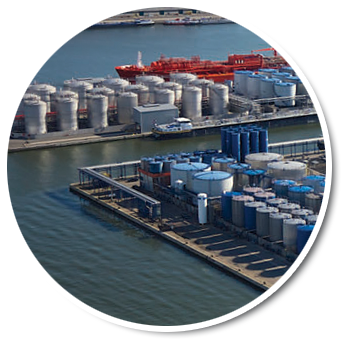 Noord Natie Terminals provides storage in multiple tank sizes and equipment. Tanks are in stainless steel, mild steel, coated steel and range from 30 m3 to 8300 m3. The terminal has 7 berths for seagoing vessels. Moreover, it also offers 4 dedicated berths for barges. The terminal is connected to rail where separate rail cars or block trains can be handled. Our terminal has several locations for loading and discharging of tank trucks, tank containers and flexitanks. Noord Natie Terminals is also for direct transshipment an excellent partner thanks to its superb quayside accessibility. No matter the specifics of the storage requirements for your liquids, Noord Natie Terminals has the suitable tank for you. We stand for a wide variety of tanks and have a permit to store a wide range of products. 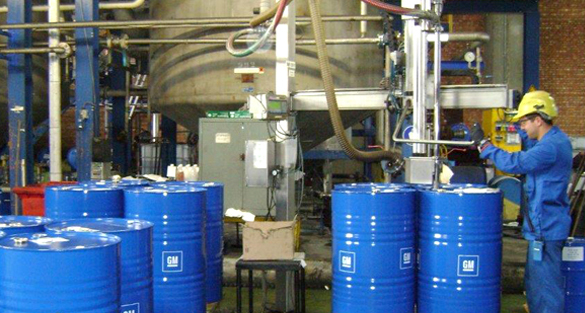 Noord Natie Terminals offers drumming services for all kinds of products, non hazardous and hazardous. Drumming under nitrogen or within a closed system can be handled on our terminal. Noord Natie Terminals is located in the Port of Antwerp with easy access to sea, inland waterways, road and rail.